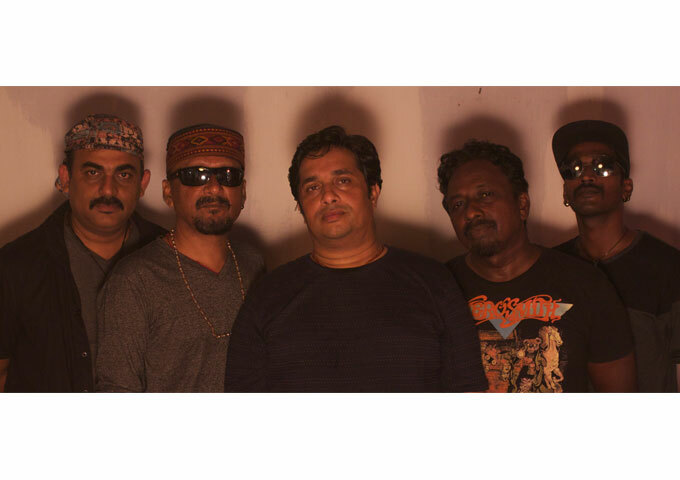 Influenced by the greats of 70s and 80s, Lazie J is a Classic Rock Band from Bangalore India that creates and plays 80s classic rock music with a tinge of modern rock. The band has earned positive responses on each and every outing and has performed at many different venues and TV shows. Their songs have featured on Internet radios and shows aired across 100 countries in the world. How long have you been doing what you’re doing and how did you get started in the first place? Lazie J: There are many legendary Rock / Hard Rock bands who have introduced and built up the genre. Lazie J owe its existence to them… Led Zeppelin, Beatles, Thin Lizzy, Scorpions …..
Lazie J: Jay : Assorted ….I keep listen from Julio Iglesias, Jim Reeves or Aerosmith or ACDC to the upcoming bands like Battle Beast or Takida…now that depends on the mood …also to a lot of Indian Music. Do you remember the first piece of musical equipment that you actually purchased? And which is the one piece of hardware or software you’re still looking to add to your collection now? Where does the band do most of its recording and production work? Lazie J: We started recording in 1991 in a friend’s studio called SS digital in Trivandrum city India. We still use his resources as we feel home there. Sometimes we use the help of Jonathan Bruce who also doubles up as a Keyboard player for us. He has got a great ear and helps us with the final sound. Which one of your original songs gets your emotion and adrenalin pumping the most, when performing it? Lazie J: Hmm difficult to pick one….All our songs are so dear to us when we create them. Each convey a feeling with which we created the song …When performing live there are crowd favorites like Keep Coming or Living in off time getting us fantastic responses though I do prefer my best written songs like Pride and Honor or Don’t Turn Around as my choices. On which one of your songs do you feel you delivered your personal best performance so far, from a technical and emotional point of view? Lazie J: Most of the Lazie J works are poems are songs which I would have written or would write on to the original music piece. So every time I sing the song I do connect to the lyrics very well. It is difficult to pick one. We have a sound which is identifiable and that cuts across our music. Apart from being the “Silicon Valley of India”, what is the independent music scene like in Bangalore? Lazie J: Bangalore has a buzzing music scene with a lot of bands springing up every day.The Indie music scene is gathering momentum with companies like Aum I Artists who manage us taking the leads with programs such as Music Mojo Television Shows , Muse rooms and Music Festivals promoting Indie talents. Off late a lot of good venues have come up. Though there is a long distance to cover, South India and Bangalore in particular is really shooting up the charts as a very happening place for Rock Music across the world. But with all this we also have a lot of work to do in case of promotion of English Language bands as most Indie bands here create and perform in Indian languages which appeal to masses here. How essential do you think video is in relation to your songs? Do you have any videos you could you recommend watching to news fans of the band? Illuminate us on your songwriting, recording and production processes. Who takes care of what in the band? And is it always a democratic choice? Lazie J: The band is Myself, Jay: Songwriting , Lyrics , and Vocals , Manoj : Drums / Backing Vocals, songwriting , John Anthony: Lead / Rhythm Guitars, Songwriting. 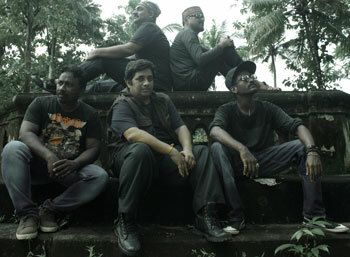 Jayakumar: Rhythm / Lead Guitars / Backing Vocals, Rahul: Bass Guitar. Compositions are initiated mostly by Jay who also writes the lyrics for them. 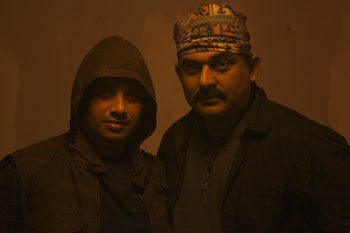 But then Manoj and John Anthony also come up with great tunes those are further developed by the band. If you could change one thing about how the music business works today, what would that be? Lazie J: Over dependence on technology …I feel this kills the original sound which one gets when creating music and gives out a digital moderated sound…that to me makes great songs average. What is the band’s latest release and where can fans find it? Lazie J: The last release was an EP called # Strange ideas This is a project called Lazie Bison – which is an Indo Canadian Project between Lazie J – Marystown band from Canada … This is available on all the platforms like iTunes / amazon / google play etc. Lazie J songs are featured on many radios and sites online. Of all your achievements what do you think can be considered as being a high point for the band so far? Lazie J: From our first TV show: Rock The road in 1995 (we were one of the early Independent rock bands in India to get featured in a TV show in India ) our first International Collaboration with Melsi ( a UK Lyricist) to our Latest venture our EP release # strange ideas with Lazie Bison Project which has been highlighted in many internet and FM radios and the first tour is scheduled in January 2018 ..It has been a long journey for us …many highlights and many disappointments too, but nevertheless we enjoyed every bit of the same. As you work your way through your career, which more than any other fires-up your spirits – A Grammy award, Multi-Platinum music sales, or some other tangible milestone, big or small, we don’t know about, besides fame and fortune of course? Lazie J: Any of these will be huge inspiration …but all these are bonuses ….in a sense. The biggest inspiration is to listen to our songs first time after production and say “wow that is a nice tune” or the crowd joining you in singing your songs in a big or small venue. Some fan mails we get are also the one of the main reasons we are here still playing. I seriously feel that the best reward is the song itself…the reason it chose to come out through you as a medium. Do you consider Internet and all the social media websites, as fundamental to your career, and indie music in general, or do you think it has only produced a mass of mediocre “copy-and-paste” artists, who flood the web, making it difficult for real talent to emerge? Lazie J: Internet and Social Media has changed the music scene radically and I support that IT has helped us a lot ….the critics may say anything and to me mediocrity lies in the ears or eyes of the audience who judge anything as per their tastes. The change is that while Big artists still get promoted by big companies , smaller artists too get an audience of like minded people…So in a way artists have become much more empowered now. Of course a lot of copy cats were there, are there and will be there any day. Lazie J: Give your best…you get what you deserve. What we haven’t done so far is diluting our music to cater to different audiences like first time when we approached a label in India they told us to do English – Hindi Mix songs catering to Indian audience …Which we did not do simply because we felt it as a compromise and was more like a commercial venture looking only at sales and no creativity. May be we would have missed an opportunity because of that but we feel no regrets as we enjoy every piece of music we have created. How would you personally describe the music of Lazie J, to someone who has never heard of the band before? Lazie J: Like many of our fans say “Lazie J has fresh & powerful melodies“ I would sum it up the same . What do you feel your listeners should get out of your music, above all else? What is the ONE thing you are NOT ever willing, or prepared to do, in your continuing quest to sustain a successful musical career? Lazie J: Compromising on our creativity to gain popularity as that means we are no more but a commercial unit which creates or products as per market ….We are musicians after all.